NIIGATA PREFECTURE: A NEW JAPAN FOODIE DESTINATION! Niigata Prefecture is one of those hidden gems in Japan that foreign tourists have yet to discover — especially as a foodie destination! After all, this area is well-known amongst the Japanese as one of the country’s best culinary hotspots given its fresh and bountiful grains, greens, and seafood. In fact, due to its great climate conditions and prime location, the Niigata Prefecture which is nestled between the sea and the mountains is also commonly referred to as the land of rice and sake (Japanese rice wine). I’ve been in touch with several locals in my travels whilst I was in Japan and if I ever mentioned any of these 2 words, they would mention Niigata at one point or another in our discussions. Anyhow, I have travelled to Niigata myself just last year and I can assure you that the taste of rice and sake in these parts are superbly rich and flavorful! Not only that, but the range of dishes that they have can leave any kind of traveler wanting for more (because it surely made me feel that way!). That being said, I highly suggest that you include Niigata Prefecture on your Japan travel itinerary so that you can see for yourself why this is a gourmet utopia for food-lovers. To give you an idea of some of the top Niigata food or selections, then do continue reading below! Niigata Prefecture is one of Japan’s major premium rice producers and one important variety that they produce after years of repeated plant breeding — which is very popular — is called as Koshihikari. When cooked, it is arguably the most delicious fluffy and gleaming Japanese rice there is! So what’s the reason for its excellent taste…? The secret lies in the large shift in temperature between sowing harvest as well as in the nutrient-rich water that it is grown up in (which from the mountains after the winter snow melts). ◘◘ Where best to eat it? Poshu-kan Uonuma Kamakura found in 1-96-47 Hanazono, Chuo-ku, Niigata City. (For a complete list of recommended restaurants in Niigata Prefecture by cuisine and variety, see here). This is a dish unique to Niigata Prefecture. Wappa is a special cylindrical container that is fashioned of thin cedar trips; whereas meshi means rice in Japanese. 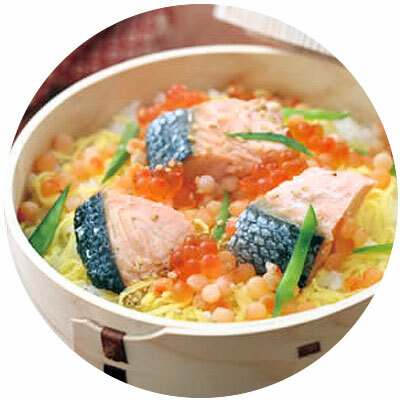 As a whole, wappameshi is a food that combines ingredients from both the mountain and the sea — the rice is first cooked in thin stock and then topped + steamed with local seasonal ingredients such as chicken, oysters, salmon, and salmon roe. Once fully cooked, you could imagine how the fragrance itself will stimulate your appetite right from the moment that you take away the lid and that the contents inside have their flavors wonderfully mixed. ◘◘ Where best to eat it? Inakaya found in 951-8063 9-1457, Furumachi-dori, Chuo-ku, Niigata-shi. 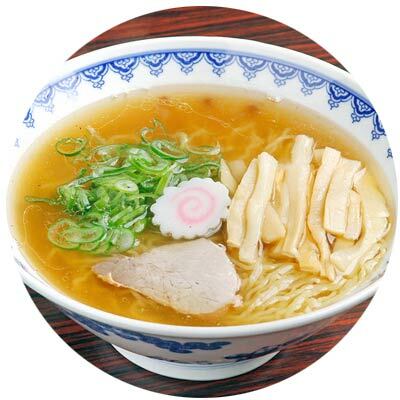 (For a complete list of recommended restaurants in Niigata by cuisine & variety, see here). As a rice-producing region, aside from excellent rice, Niigata Prefecture naturally has outstanding sake (rice wine) too. There are 4 factors that contribute to its distinctive quality: the area’s excellent water, excellent rice, breweries’ years of expertise, and conducive climate. As the ‘land of snow’, it generates cool underground springs that enhances the soil and waters. Fermentation is slow and low-temperature (during winter months) which helps produces the crisp, dry texture and flavor that Niigata sake is famous for. 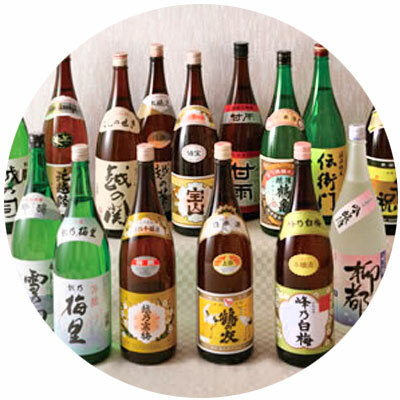 Popular labels to watch out for are: Kubota (久保田), Koshinokanbai (越乃寒梅) and Hakkaisan (八海山). ◘◘ Where best to drink it? Kitayama (is both a restaurant and a brewery) found in Kitayama Bldng. 1F, 9-1384-3 Higashiborimae-dori, Chuo-ku, Niigata City. 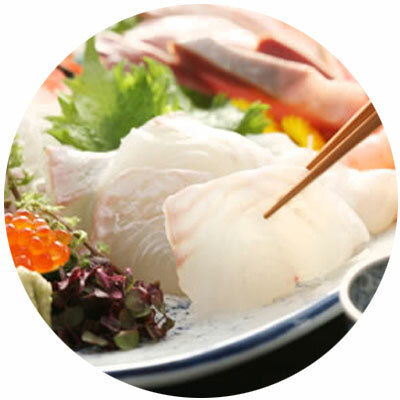 Niigata gets its bountiful supply of fresh fish from the Japan Sea — combine this with their high-quality rice and you have amazing sushi dishes! 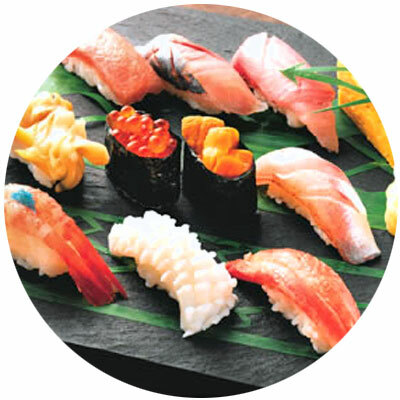 Surely, a lot of sushi shops in the area are always ready to serve the best of the season and many of them serve a special 10-piece kiwami (“the best”) platter that comprises the sushi master’s finest season catches such as uni (sea urchin roe), chu toro (medium-fat tuna), and ikura (salmon roe). They typically cost ‎¥3,000 only before tax. ◘◘ Where best to eat it? Marui found in 8-1411 Higashibori-dori, Chuo-ku, Niigata City. There are 25 restaurants in Niigata City who serve this and a handful in some other areas in the prefecture, for a list, see this sushi site. (For a complete list of recommended restaurants in Niigata Prefecture by cuisine and variety, see here). Melting snow in Niigata Prefecture also helps grow high-quality plankton in its 2 great rivers: Shinano and Agano. So of course, these are consumed by local fish — in particular, small fish and white-fleshed fish. Therefore, many varieties of these fishes are highly-prized in Niigata Prefecture for their excellent taste. One would be the fatty yet tender nodoguro which literally translates to “black throat” because of its distinctive, charcoal-colored throat. This is typically enjoyed salt grilled, raw (as sushi or sashimi), or char-grilled. ◘◘ Where best to eat it? Kaisenya Negibozu found in 1-10-1 Sasaguchi Chuo-Ku, Niigata. (For a complete list of recommended restaurants in Niigata Prefecture by cuisine and variety, see here). 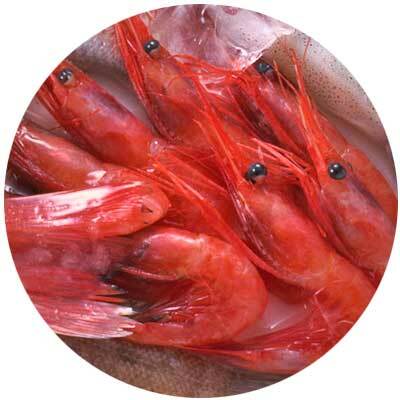 This shrimp is actually called amaebi, but in Niigata it has a nickname nanban ebi (“ebi” is shrimp in English) because of its color and shape that resembles red peppers. Caught in the surrounding sea (as well as in Sado Island) at a depth of 300-500 meters, they are sweet in flavor with a unique mellow texture that will melt in your mouth — perfect for sushiand sashimi! ◘◘ Where best to eat it? Echigo Banya Sakaba JR Niigata Ekimae found in 1-2-4 Benten, Chuo-ku, Niigata City. (For a complete list of recommended restaurants in Niigata Prefecture by cuisine and variety, see here). Other than Kobe, Matsuzaka and Hida beef, there’s another type that you must try: Murakami! Basically, this refers to beef of grade A-4 or B-4 or higher (A-5 is the highest grade for beef) and prepared from black-haired Niigata Wagyu Beef in Murakami City. 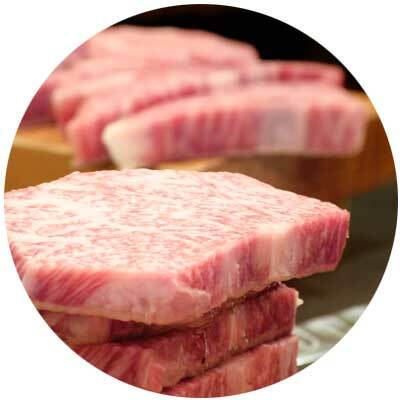 Once cooked, it is highly praised for its vivid red meat that has a soft juicy texture due to its beautiful marbling. ◘◘ Where best to eat it? Ryutoan Furumachi-ten found in 6-953-1 Furumachi-dori, Chuo-ku, Niigata City. (For a complete list of recommended restaurants in Niigata Prefecture by cuisine and variety, see here). Donburi (a large bowl of rice) is often topped with eggs and meat but in Niigata, they replace the egg with a locally concocted sweet yet salty tare (soy-based sauce) that includes mirin (rice wine) and sugar — as for the meat, the katsu is a fried batter-coated pork cutlet. Now this might sound plain or even a bore to you, but I guarantee you… once you take a bite of this, you’ll find it hard to put your chopsticks down. After all, the sauce is to die for! ◘◘ Where best to eat it? Katsudon Matsuriya found in Minamisasaguchi 1-1-1, Himorogi Building 2F (2nd floor of Don Quijote). (For a complete list of recommended restaurants in Niigata Prefecture by cuisine and variety, see here). This is Niigata’s traditional stew and it is indespensable during festivals, New Years, family functions, and any other major events. 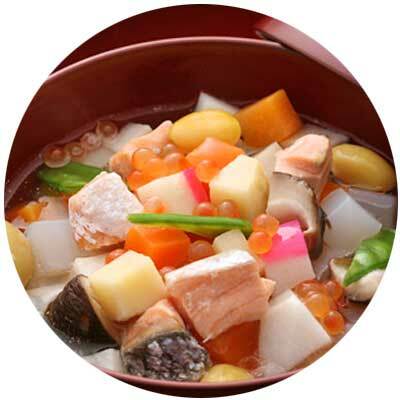 Flavored in a light or thin soy-flavored stock and served either warm or cold, it contains many ingredients from the mountain and the sea such as: taro, konjac, carrot, ginkgo nuts, lotus root, salted salmon roe, and shiitake mushrooms. It is very common amongst the locals and given this prominence, you can find this in establishments of all sorts. ◘◘ Where best to eat it? Inakaya found in 951-8063 9-1457, Furumachi-dori, Chuo-ku, Niigata-shi. (For a complete list of recommended restaurants in Niigata Prefecture by cuisine and variety, see here). 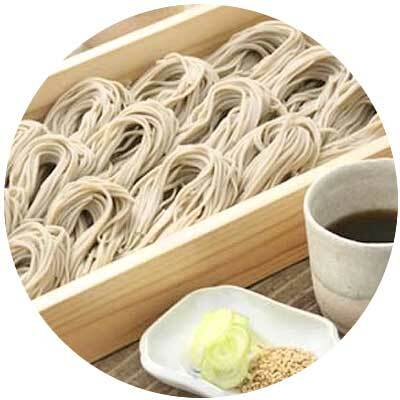 This soba (noodles) dish is also unique to Niigata. They are made of mixed buckwheat and funori seaweed that are coiled into bite-sized ovals and lined up in a wooden box called as hegi. This was invented in Uonuma and its unique ingredient of seaweed helps make the soba smoother and chewier compared to typical noodles in Japan. ◘◘ Where best to eat it? Kojimaya CoCoLo Niigata found near CoCoLo in Niigata Station. (For a complete list of recommended restaurants in Niigata Prefecture by cuisine and variety, see here). One must not leave Japan without tasting ramen. There are tons of ramen types out there but Niigata has its shoyu-style ramen in which its clear soup fish stock is stewed for over 6 hours and then later on mixed with vegetables, chicken, and some other ingredients together with 2 different kinds of sardines (which is in line with Niigata’s coastal nature). Rest assured, this is not too fishy because it has the perfect light touch without being too overpowering! Other kinds to try are: ginger shoyu ramen, miso ramen, thick noodle fatty soup ramen, and curry ramen! ◘◘ Where best to eat it? Sankichi-ya found in 1-6-10 Yoneyama Chuo-ku Niigata City. (For a complete list of recommended restaurants in Niigata Prefecture by cuisine and variety, see here). This dish originated from the 1960s at a coffee shop called Mizakuzi. 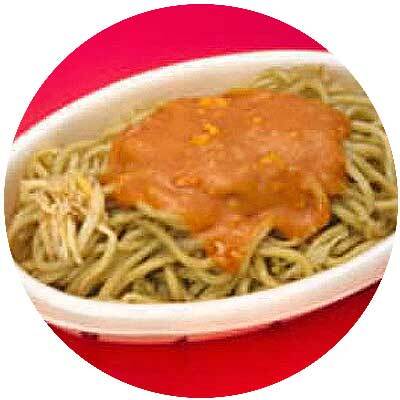 It resembles a spaghetti but in “Niigata-style”, it’s closer to yakisoba noodles. This is typically fried in sauce together with cabbage and bean sprouts, and then topped with tomato sauce and grated cheese. Currently, there are over 19 restaurants in Niigata City that offers this dish. ◘◘ Where best to eat it? Mikazuki Bandai found in 1-6-1 Bandai, Chuo-ku | 2F Bus Center Bldg., Niigata City. (For a complete list of recommended restaurants in Niigata Prefecture by cuisine and variety, see here). 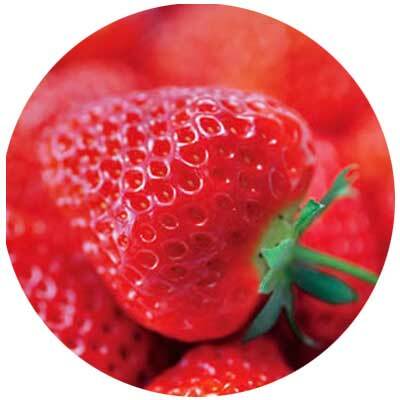 Echigohime (Pricess Echigo) is a strawberry hybrid developed in Niigata that’s famous for its shiny skin and luscious sweet flavor (they’re also often large at an average size of 20 grams and are in season from late January to June). Other fruits to try would be Le Lectier Pears (grown in Shirone district in season in October) and Japanese Nashi (these are also pears grown in Shirone but are available mid-August to late November). ◘◘ Where best to eat it? If in season, you’ll find them in markets and supermarkets alike. 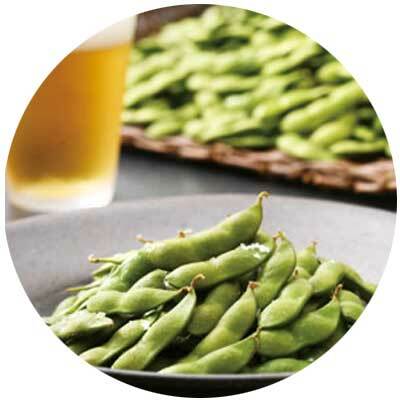 This prefecture is also known as one of Japan’s main growers of edamame. There are over 40 varieties and these are in season from mid June to early October. The most well-known brand would be Kurosaki Chamame because of its crunch, sweetness and fragrance. It is said that these are best eaten together with beer so when in season, you can find these in all izakaya (Japanese pubs) with the residents easily downing a whole bowl in seconds! ◘◘ Where best to eat it? In any izakaya when in season. (For a complete list of recommended izakayas in Niigata Prefecture by cuisine and variety, see here). This is traditionally prepared in May for the annual Boy’s Day celebration and also at rice-planting time; but today, it’s often given as a gift. Sasa means bamboo leaves and dango means dumpling. 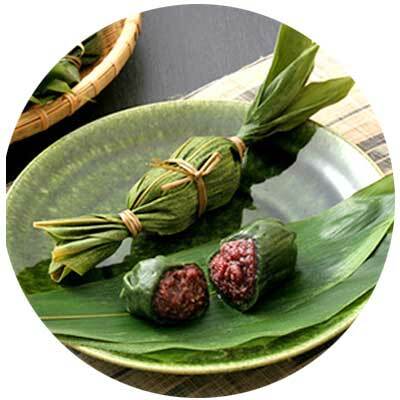 This unique style of dango is made of red bean paste surrounded by mugwort-flavored sticky rice. It will be wrapped in a bamboo leaf and then steamed — once you unwrap it, its aroma will enthral you together with the rich flavor of the dango itself. ◘◘ Where best to eat it? These are avaible in almost all gift shops; but if you want to try your hands at making them, go to Tanakaya Minato Kobo found in -2-3, Yanagishimacho, Chuo-ku, Niigata City. A long chewy pancake-like treat that usually makes its appearance during Niigata holidays. 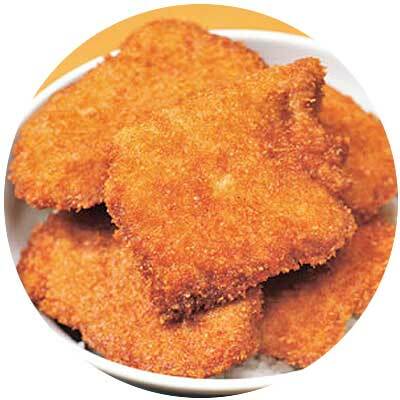 They are made from simple batter but with the addition of brown sugar and are best eaten when newly made. It is said that the “poppo” part of its name was derived from the “po po po” sounds made by placing a small whistle above the baking equipment — the rising steam would create this tune and hopefully attract buyers. ◘◘ Where best to eat it? 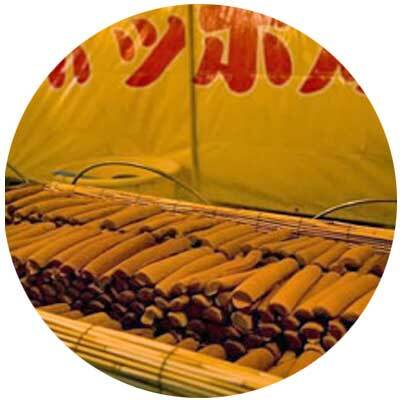 Look for street stalls during festivals in Niigata Prefecture. You can also purchase them at the Bandai Bus Center in Niigata city, and at numerous poppo-yaki specialty stores spread out across the region. Next JAN CHERRY BLOSSOM (SAKURA) 2019 JAPAN FORECAST: WHEN & WHERE TO VISIT!